No one knows exactly when or who began the custom of placing bridal figures on top of a wedding cake. Most likely it occurred in Europe during the late 19th century. Wedding cake toppers are as difficult to categorize as they are to find. 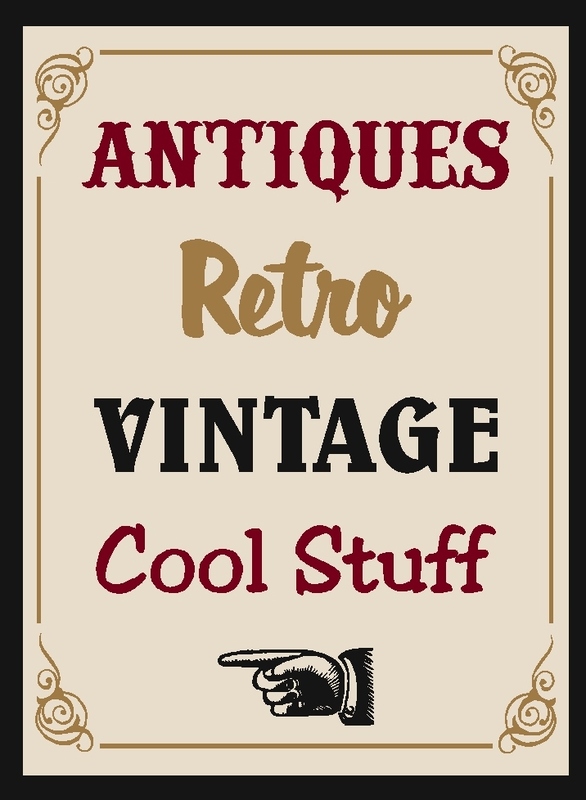 Neither folk art nor fine art and not really considered “dolls” by doll collectors, they have been mostly overlooked by the public and other collectors. 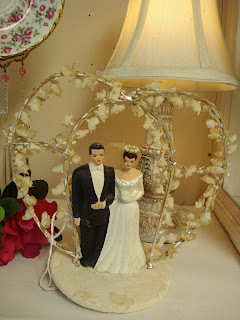 I have been collecting wedding cake toppers for over 10 years and now have over 400 toppers in my collection! 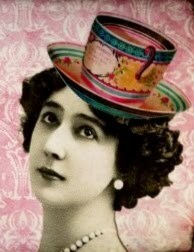 I’m not sure what possessed me to collect them, but I love the fashions, especially the 1890’s -1940’s styles. And I guess just knowing that they represent a romantic and special event in someone’s life-a happy time for a starry-eyed bride. In my never-ending (and so far-unsuccessful!) 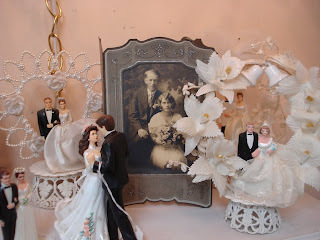 effort to downsize my life, I am selling some of my collection of wedding cake toppers at Vintage Gal Antiques. I also have other wedding items~a beautiful veil with wax flowers from the 1940’s and several bridal photographs from the 1920’s. If you’re a collector of wedding memorabilia, you might find a special addition to your collection here!